FAC’s Planning Associate, Trevor Keppel, has traveled from Dublin to the Greek island of Chios to volunteer at a refugee camp, retracing the steps of the people that have come to Ireland on their road to refuge. 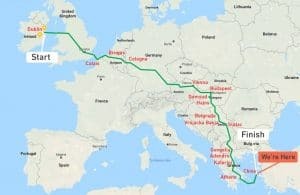 He cycled over 1,000km from Calais to Chios, raising over €9,000 in the process. Trevor took the idea of helping refugees seriously and did something productive about it with his two friends, forming Road to Refuge. Road to Refuge support two main projects: C-ESRT (The Chios Eastern Shore Response Team in Greece) and MASI (Movement of Asylum Seekers in Ireland). The situation is constantly changing on the landing Islands so there is a possibility Road to Refuge will direct some funds to additional areas of clear and urgent need. The charity initiative involved a series of sponsored events at home in Ireland (Hell and Back and a parachute jump), the arduous cycle across Europe itself, and the actual work of making a real difference on the ground. Road to Refuge has secured a new warehouse rental for vital supplies and donations, fixed the cold-water supply inadequacies in the refugee camp, and provided respite with a DJ set one night on site. 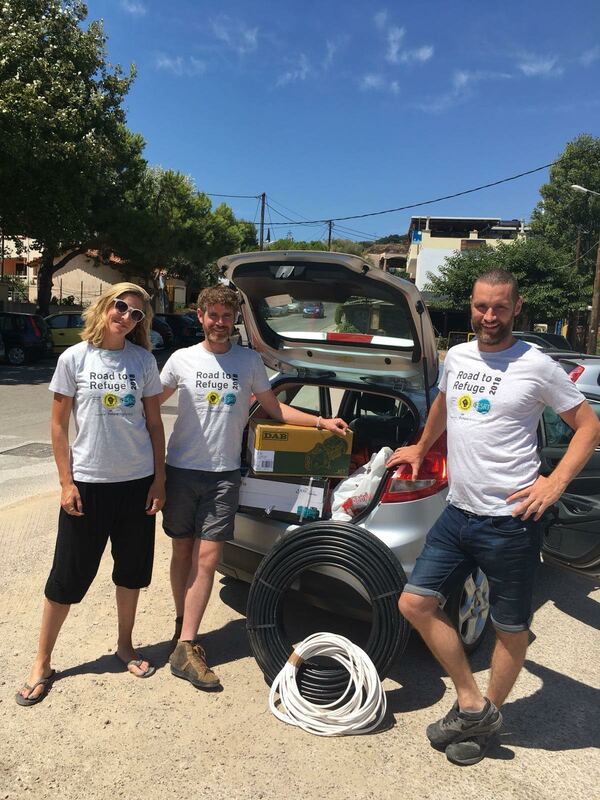 FAC are very proud of Trevor and his team in this charitable endeavour, and we are equally proud to have contributed to the fundraising (reflected with our logo on the Road to Refuge T-shirts!). Road to Refuge are about €1,000 shy of their fundraising goal, so if you are inspired to donate to this truly admirable cause, please do so here. Well done to Trevor and see you back at the office next week…on yer bike! On Thursday, September 20th, FAC are getting involved in the biggest Coffee Morning of the year in benefit of St Francis Hospice in Dublin. St. Francis Hospice provides a specialist palliative care service for the people of North Dublin City and county. FAC will have hot coffee and cakes to sell on the day. All are warmly invited as we hope you can join and help make a difference to the hospice.